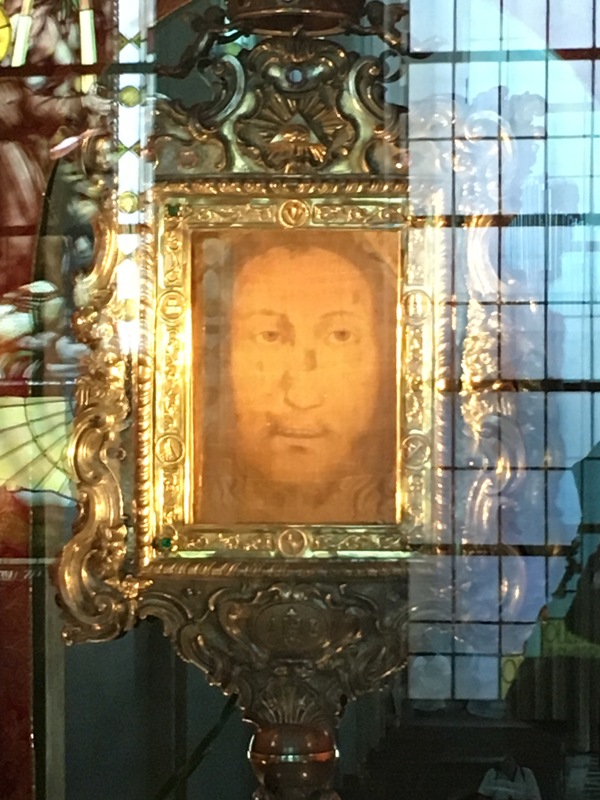 Sunday, May 21st, was a day of great celebration and joy, commemorating the arrival of the Holy Veil, bearing a miraculous image of the Face of Jesus, to Manoppello, Italy, centuries ago. 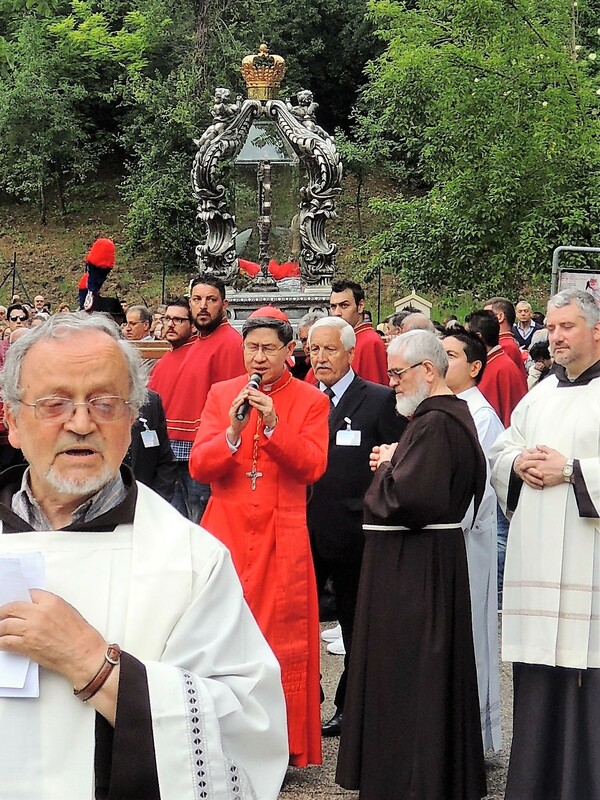 The town of Manoppello welcomed Cardinal Tagle of the Philippines, who presided at the Solemn Mass and Procession of the Veil of the Holy Face from the Basilica Shrine to San Nicholas Church in the city center. The Veil is to be brought back to the Sanctuary Basilica the next day. 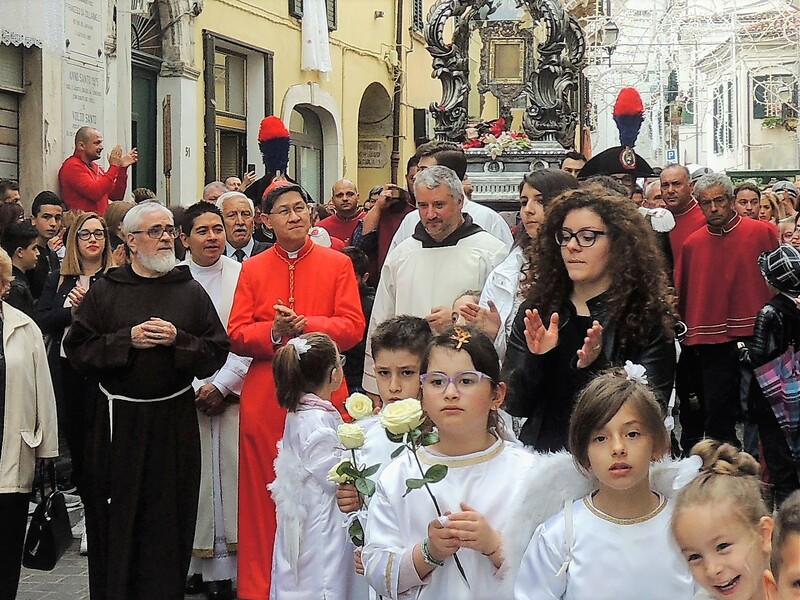 The recorded history tells of the arrival, in May, of the Veil in Mannoppello, “in around 1506,” in the hands of a mysterious stranger who was thought to have been a holy angel, who gave the precious relic to a local doctor, who later gave it to the local Capuchins for safe-keeping. (The history of the arrival of the Veil may be read here).